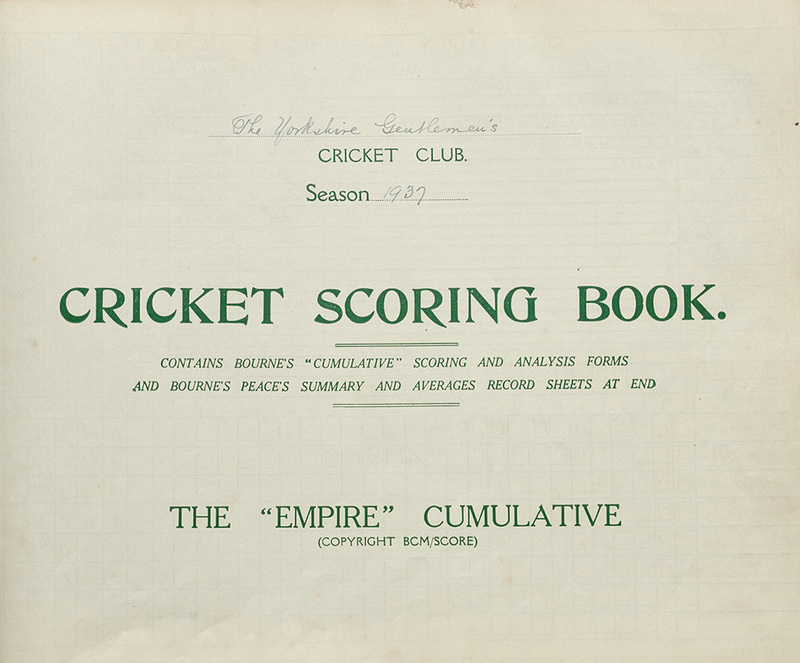 Over the last few years the club has digitised most of its important photographs and records including team photos, all scorebook records and scrapbooks. This important work ensures a copy of the club's records can be held in perpetuity and will survive in the event of fire, theft loss or just general decay. This material has now been placed in permanent dropboxes for all members to access at any time. The dropbox software allows people to not only browse online documents but to download individual files or indeed whole folders. Dropbox is a robust and easy to use cloud based service with over 300 million users worldwide. To access the YGCC archives you do not need to have an account. For existing and new dropbox users who have a free account it is recommended you don’t add the Yorkshire Gentlemen’s Cricket Club folder /archives to your account. The archives are 15 GB in size and will exceed your account limit unless you are a pro (paid) or Business user. You can still link individual folders or files if you would like. To access the archives click on any of the images or the link at the bottom of the page. Any problems or issues accessing the archives please send a message to Jeremy Phillips. Please note the archives are available only to club members registered on the website. Non members or invited guests who wish to have access will need to contact the administrators who will send them a limited time access code.